If you didn’t get a chance to see Andy Anderson’s spread in the December of issue of Garden and Gun, take a peak at the photos here. 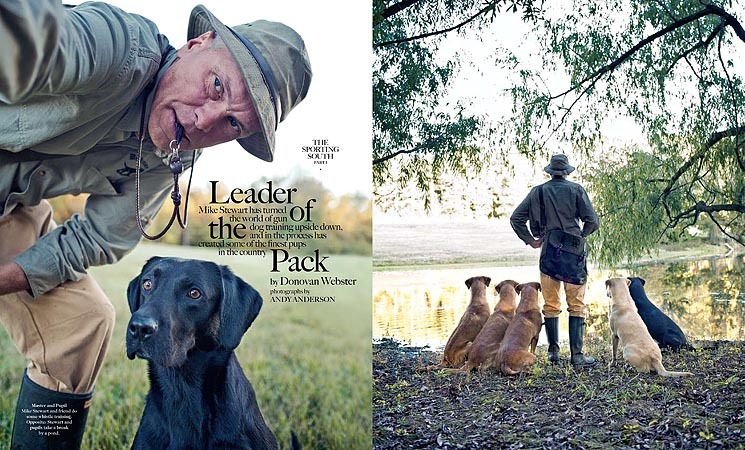 And, if you know anything about gun dog training, you will know that Mike Stewart is indeed “The Leader of the Pack.” Be sure to seek out the article online to read all about it. This entry was posted in Andy Anderson, Just Sharing, People and Portraits, Published Work and tagged Andy Anderson, Editorial, Just sharing, People and Portraits, Published Work. Bookmark the permalink. Was all that effort worth it? An inside look at what we shared with our photographers about 2011.